Home car buying Car insurance Insurance Does It Make Financial Sense To Take The Company Car? Does It Make Financial Sense To Take The Company Car? One of the best perks involved with joining a big business is the company car. 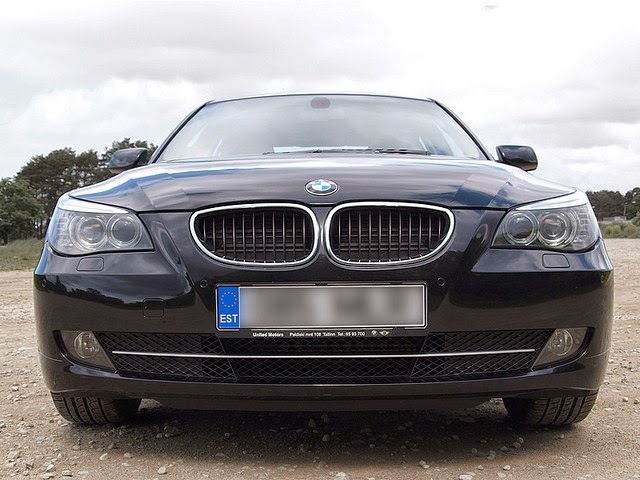 This is the free use of a beautiful executive car for the extent of your term at the business. It’ll likely be a BMW, an Audi or maybe a Mercedes. These German cars have a reputation for luxury and reliability. They make the perfect company cars. It’s in your employer's interest to offer you the use of a car in this way. It’s a great perk to help keep you loyal to the company. In addition to that, you’ll turn up to meetings looking professional and sharp. Like a good suit, a good company car makes an impression. This all sounds great so far, but unfortunately it’s not always that simple. Your ‘free’ company car isn’t exactly ‘free’. In some cases, employers will offer a cash alternative that you could put towards your own car instead. Today we’ll look at whether it’s really worth saying yes to the company car. How does a company car work? If you’re not quite sure of the benefits of a company car, here’s how it all works. You’ll be offered a range of great vehicles by your employer. You’ll get to test drive it and choose your favourite. You can use it to get to and from work and meetings. You can also use it for your own personal use. The cars will be covered for you by a group insurance policy from the likes of Insure Fleet. The maintenance will be taken care of too and - in some cases - your petrol is covered. Although this all ‘free’ you pay an additional tax for the privilege. This is built into your pay packet to cover the personal use of the car and fuel etc. In most cases, your employer will offer you the company car option or a cash alternative. The idea is that you would use the cash alternative to purchase, fund and run your own vehicle. If you do the sums on your chosen vehicle, the cash alternative can often be the best choice. The trade off is that you have to manage and fund the car yourself. The biggest argument in favour of taking the company car is sheer simplicity. It is the easy, hassle free option. Everything is taken care for and there’s nothing for you to worry about. If there’s a problem or repair needed, it’s all covered as part of the package. It could help you cut down on monthly costs. When the car reaches the end of its lease, you’re entitled to a new, shinier model. Great news! The biggest downside of the company car is that you never actually own the vehicle. When you purchase your own car, you retain the capital in it. You can sell it on and retain some cash at the end. Another off-putting factor for some is the lack of choice. The same few BMWs and Audis are usually on offer. If you want optional extras or a specific engine size, this isn’t always possible. Finally, it can actually work out more expensive in the long run through the extra tax. When it comes down to your own decision, you’ll have to do the sums! It will vary depending on the car, the lease deal and your personal circumstances. So, before you say yes to the new company car, consider the alternatives. Until next time!